Air rifle scopes- what are you running? Rifle scopes, iron sights and optics. Spotting scopes and target acquisition devices. Was writing about an air rifle on another post, got me keen to get them out and have a bit of a plink. thinking about getting a scope for the stoeger x10. So the question is what scope are you running on your air rifle? Also what mounts? Re: Air rifle scopes- what are you running? Dossa456 wrote: Was writing about an air rifle on another post, got me keen to get them out and have a bit of a plink. I didn't pay anywhere near that price for mine though. My Crosman came with a very cheap 4x32 scope which is garbage. I did find it online before for US$9 but can't find it now. Same as this Konus branded one, but mine is "branded" CP. I dug a Chinese 6-24x40 Bushnell out and tried that. Gave me a much better sight picture, and a hold-over reticle, but I couldn't get it anywhere near to zero. Could just be a mount glitch. I was setting up to try a Redfield Revolution 3-9x40 when I thought why not try the cheap Chinese thing, it's not like I'll ever find any other use for it. I've put close to 300 shots through the rifle with this scope and I'm actually pretty pleased with it. It'll do me just fine until I find something better. I emailed Bushnell to ask if I can use one of my AR Optics 4.5-18x40's on a springer but they haven't responded yet. 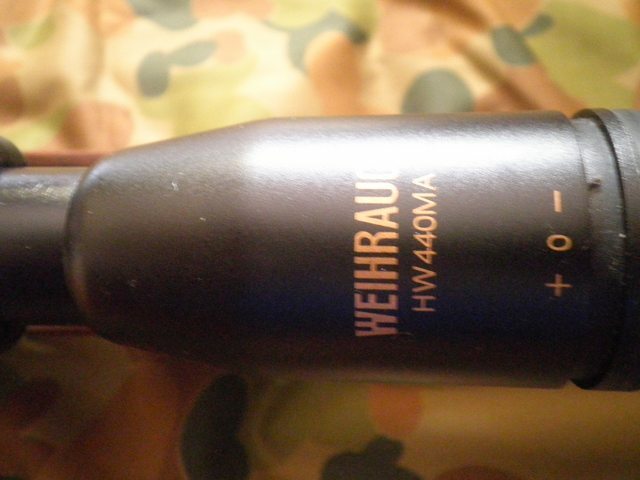 bigfellascott wrote: Weihrauch scope on HW80. Do they make the scopes or are they something else they put their brand on? Can't find prices for them online. I''ll probably try the Redfield Revolution at some point as it's no good for any of my other rifles. I don't know if it's springer rated though. Vortex scopes are springer rated and guaranteed if you don't mind throwing some coin at an air-rifle. Yeah I gotta try one!! Just ordered one for $5.69. Someone else makes em - ie Tasco Who coincidentally made a lot of different brand scopes for all and sundry who just wanted their name on a scope. I was doing the usual of ordering some bits and pieces (probably scope rings or rails) and going through the sellers other listings for anything else of interest. At the time Rose was experimenting with contour ripping the paddocks. I'd built a large aluminium triangle to sit the spirit level on to shoot levels across the paddocks, but it was a bit cumbersome and lacked precision, although probably near enough to be effective. I thought a cheap rifle scope on the level would give a much more precise elevation reading on the staff, which it did. But in the end we bought a laser level, so this has been floating around my office for a few years trying to find a purpose. I'm really surprised not only that it works, but that it's still working after several hundred shots. I've heard of non-springer scopes failing after very few shots on springer rifles. Even the turrets work quite well. EBay discount code takes $5 off no minimum spend. Of the link bladeracer supplies? I can’t find the spot to put it in or do you have to commit to buy them add the code? Dunno why I’m trying to save $5 of an $8 scope haha why not. I hope they work for you guys as well as it's been working for me. Hate to think of all the money you've wasted if not! I'd been sort of thinking a scope with holdover marks would be ideal due to the trajectory of subsonic 10gn pellets with BC's around .020 or less. But now that I'm getting the hang of the rifle I'm not sure it matters due to the extremely limited ranges involved. Out to about 30m it shoots remarkably flat. A 30m zero is also zeroed around 18m, and only drops about 65mm by 50m. A 50m zero though puts it about 40mm high around 30m and 50mm low by 60m, but I think 30m is about as far as I'm willing to use this against birds. Shots longer than that I'll use the .22LR. At the muzzle, this has the same energy as a CCI Std Velocity still has at 900m, and that is bugger all. I Googled and learned that a .177" pellet can break the skin at 290fps, and fully penetrate at 330fps - which is around 150m. Running some ballistics shows that the absolute furthest the pellet can travel, pointed sixty-degrees into the sky, is about 350m maximum. The cheaper pellets with BC's around .014 are barely good for 200m. "Lower human extremities were used"!!!!! The nicest way of saying"we were shooting each other in the arse" ive seen for a while!!!!! At the moment with the opens I don't shoot any further than 25m at toads etc and around 40m at a 100mm square post cap so it'll be interesting to see what I can achieve with the scope even if it doesn't last very long it'll give me an idea of whether I'll spend more on a better scope or just stick with opens?